For the most part, this Summer has had some great weather and was a perfect time for lucky couples to get married. And with each upcoming nuptial comes the quintessential bachelor party for the groom! A city like Toronto is the perfect place for elaborate parties where the guys can get together for one last raucous night out, and while the city has its fair share of strip clubs and bars, there’s much more Toronto can offer in terms of having a good time! 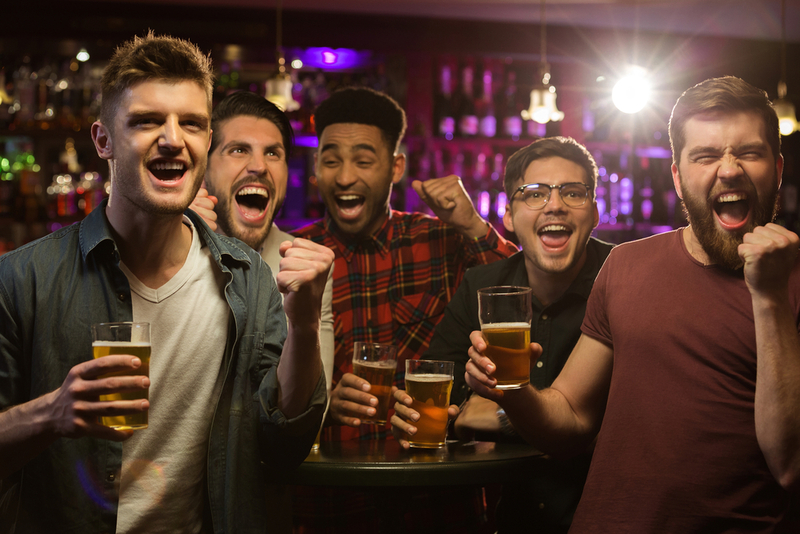 Here are 5 Bachelor Party Ideas in Toronto! Having High Tee – Docks Driving Range – 176 Cherry St.
There’s nothing better than being with the guys to talk about the good times, while enjoying a nice golfing session together. Although downtown Toronto doesn’t have the space to host full-sized golf courses like those in Markham and Oakville, it settles with a good-sized driving range right near the heart of the city. 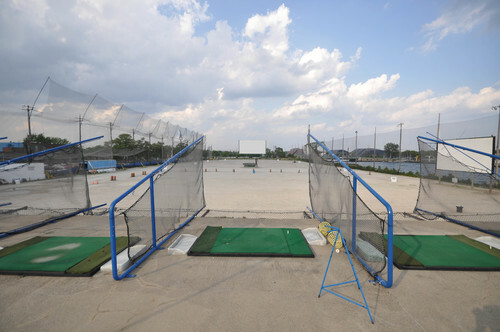 The Docks Driving Range near Cherry Beach sports a serene, outdoor area that boasts two decks, which house over 75 teeing stations. With golf balls that cost $16.00 a bucket on weekdays and $18.00 on weekends, the Docks Driving Range will give the guys a perfect place to reminisce and power drive before the big day. What better way to deal with any pre-wedding jitters by simply laughing it off? 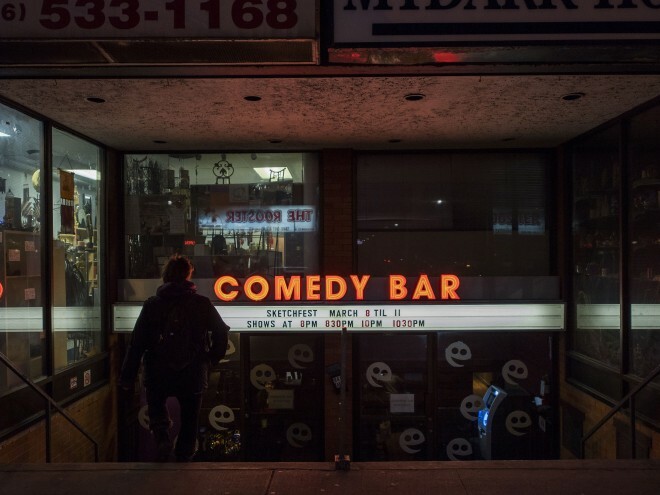 The Comedy Bar on Bloor and Ossington runs seven days a week, with over 150 shows a month that include stand-up, improv and sketch comedy. On top of that, they offer packages for special occasions, such as holiday parties, corporate events, and of course, the bachelor parties! If you know a would-be groom that is in desperate need of a roasting before his big day, this may be a good venue for you! Mixing Things Up – The Bartending School of Ontario – 2159 Danforth Ave.
Let’s face it, a good bachelor party requires alcohol. But it doesn’t have to come from endless bar crawls that end with a mind-numbing hangover or a gut-wrenching stomach pump the next day. For the more refined gentleman inside you, consider taking a cocktail mixing course! The Bartending School of Ontario has an excellent track record of producing some of the best bartenders this province has to offer. For those looking to learn the basics but pressed for time, consider the school’s Cocktail 101 course, which provides a three-hour course for a small group of friends. 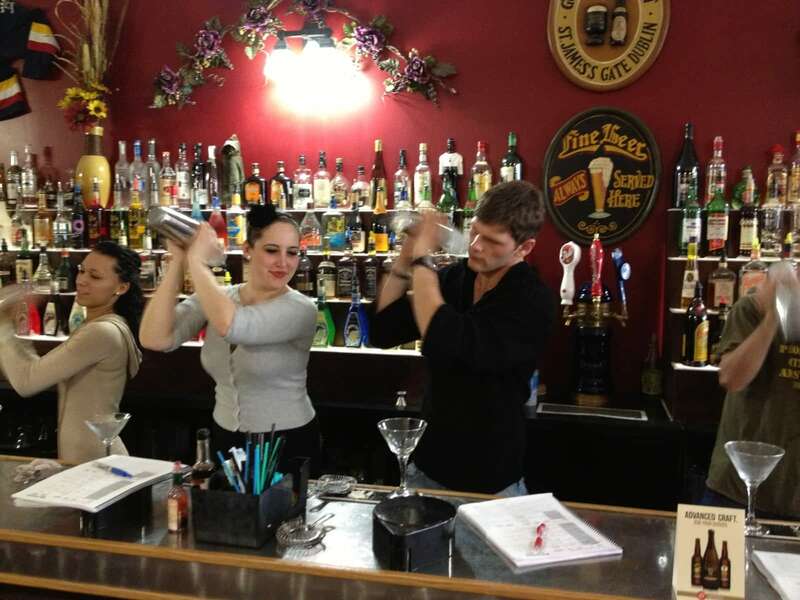 The course includes a brief history of bartending, a practical session that allows students to mix up to three different drinks, as well as a Q&A section that includes light snacks. Hitting the Mark – Stryke Target Range – 103 Orfus Rd. 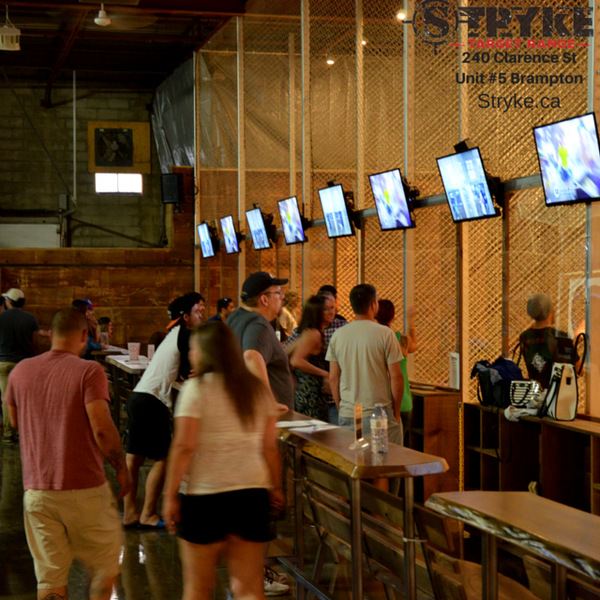 While axe-throwing has been a trend in Toronto for quite some time, the Stryke Target Range on Orfus Road takes that a step further by also including knife throwing, archery and air guns at their ranges. For those looking to blow off a little steam and set up some friendly competition between the guys, this is the perfect venue for you. The ranges provide tournament style plays for large groups and include equipment and instruction for those who are new. For those looking to try the entire arsenal, Stryke offers the “Tour de Stryke” option, which allows groups to try out three of the four activities in a single three-hour session! For the men who are life-long carnivores, a grilling course might be right up their alley. The Weber Grill Academy offers a variety of three-hour long barbecue classes that teaches students how to grill different types of meat, including shrimp, prime rib, burgers and more! 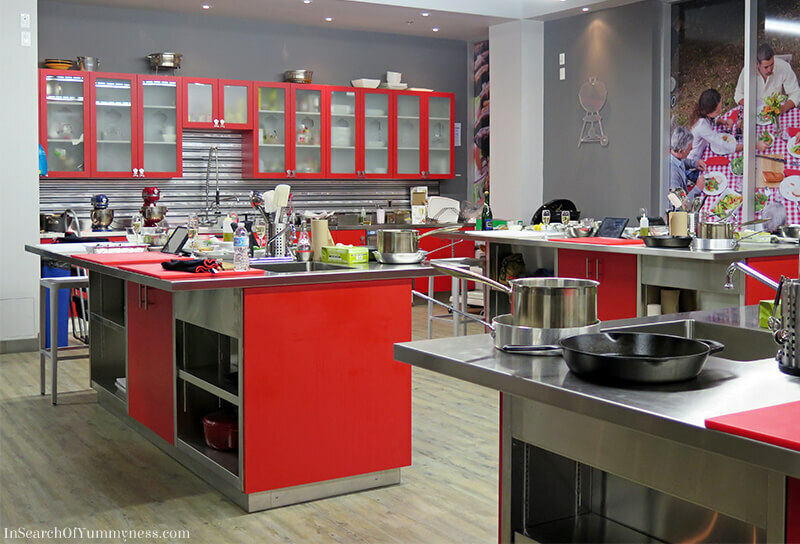 The school features a large indoor kitchen which houses top of the line equipment and expert instructors. For the would-be husbands who will be moving out to the suburbs, this class is probably a must for them.